Drone giant DJI has just opened its very first flagship store. The Chinese company has chosen to stick close to home with its debut brick-and-mortar effort, opening the site just a couple of miles from its headquarters in Shenzhen City. Situated in a futuristic-looking building that looks like it fell off a passing alien spacecraft, the new store offers 800-square-meters of drone-based delights, including the chance to “see, touch and learn” about DJI’s Phantom 3 series, the Inspire 1, Matrice 100, and Spreading Wings machines, as well as other gadgets such as the company’s 4K handheld camera, the Osmo. Store highlights include a special flight arena where expert DJI pilots perform demos – unfortunately it doesn’t seem like visitors themselves can have a go – and a theater showing the latest and best drone videos from around the world. At the center of the store you’ll find SkyPixel Around the World, an interactive installation that lets visitors explore photo and video stories created by aerial enthusiasts from the online SkyPixel community, DJI said in a release describing its new venture. There’s also a Genius Bar-like help desk, called somewhat dryly “the Repair Counter,” where customer-support staff can answer drone-related questions and accept bashed-up machines that need fixing. Finally, a lounge area offers a relaxing environment where visitors can get advice and tips on remotely controlled copters. 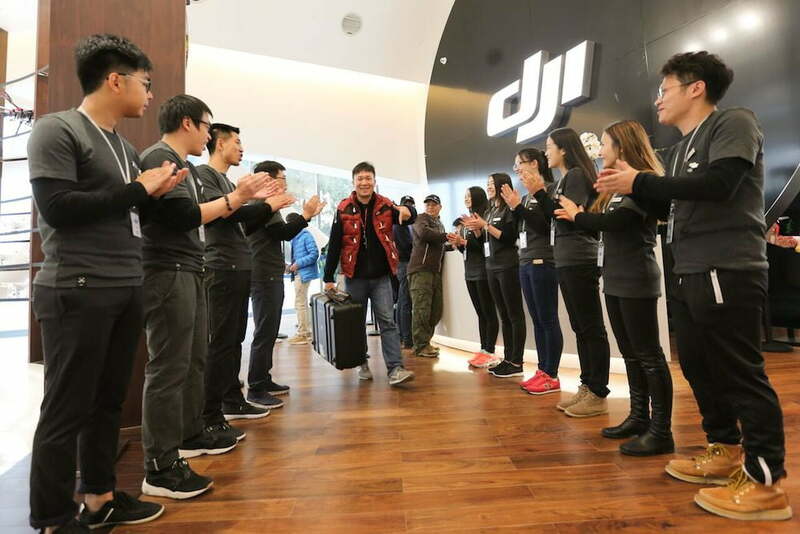 DJI hasn’t said if the new store marks the start of a wider brick-and-mortar strategy, though big spaces like these, where the machines can be demonstrated in person and consumers can see them up close and in action, would surely help the company score many more sales.